Covering 93% of the image area, a focal-plane phase-detection autofocus system incorporates 693 points along with 25 contrast-detection areas for quick and precise focusing in a variety of lighting conditions with sensitivity down to -3 EV. The density of focusing points from this hybrid AF system also enables High-density Tracking AF Technology, which is adept at tracking moving subjects in a variety of lighting conditions. The use of phase-detection points also enables the use of A-mount lenses via the optional LA-EA3 or LA-EA1 lens mount adapters with full continuous AF/AE tracking compatibility. Alpha a9 Mirrorless Digital Camera (Body Only) is rated 4.8 out of 5 by 59. 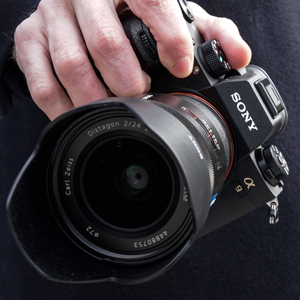 Rated 5 out of 5 by Steven from A new standard for mirrorless cameras. I was hoping the A9 would impress me and it went above and beyond. I shoot a lot of family events with about 20 people in constant motion. The speed of the camera is outstanding but I was surprised at how the speed of the autofocus system was improved. I rarely miss a shot to poor focus anymore. Love the change adding a dial to the upper left for focus mode and drive mode. Makes if that much quicker to set up changing shots. The new battery really does put the old ones to shame. Guess what I like about Sony is they listen to their customers and get us what we need/want. They don't give the camera away, but I have to say, it's worth it. Rated 5 out of 5 by Frank from Fantastic camera I have shot Canon since 1973 and I am 69 years old. I was shooting with a Canon 5D mark lll all L glass. It was getting too heaving and I needed to make a change and Sony was leading the pack in mirrorless. I have been using it for less than three weeks and I can not be more pleased. The set up was pretty simple and the biggest plus for me is incredible fast focusing. I still like Canon but I have had three shoulder surgeries in the past year and had to make a switch to a lighter camera. I am very pleased with my Sony a 9 and would recommend it highly. Rated 5 out of 5 by Ralph A. from Great camera for wildlife The first mirrorless camera that can keep up with wildlife. As a long time Nikon user I've had a bit of a learning curve but it has been worth it. A silent shutter is the future of wildlife photography. It has allowed me to make photos that a regular shutter sound would have scarred off. Sure would be nice if Nikon would do the same. They still have a better selection of lenses. Do you really need 20 shots per second? Sometimes you do. But it can really increase your editing time, so you do not want it on high speed all the time. The only complaint that I have is that it will not automatically use the second memory card when the first one is full. Hopefully Sony will fix that in a future firmware. Rated 5 out of 5 by Anonymous from Absolutely Insane Camera! I had the opportunity to use this camera at the Sony Alpha Collective Kando Trip 1.0 a few weeks ago in California. Just picking this camera up, I could feel the improvements over the previous Sony models. It just felt sturdy. The autofocus tracking is like a cheat code honestly. It's so fast and rarely misses. The 'no blackout' feature is a much needed upgrade from previous models! Some points worth noting are, of course: the dynamic range, the ISO performance, build quality.....10/10. I couldn't put this camera down the whole week. Everything about this camera screams quality. Worth every penny. I'll be adding this camera to my arsenal soon enough! Rated 5 out of 5 by gabe from INSANE SPEED WITH NO BLACK OUT!!! As a Sony Artisan of Imagery and adventure sport photographer, I have been waiting patiently for this camera to be released. I was in need of a faster camera... one that could shoot more frames per second. Well, Sony delivered! Not only am I blown away by the 20 frames-per-second RAW capability with almost no buffer, but the fact the camera will do this with NO shutter black out, is unbelievable!!! In other words, as you're shooting stills and looking through the viewfinder, it almost looks as though you're shooting video... a continuous image. This is of course extremely helpful for tracking fast-moving subjects. Rated 5 out of 5 by CornBuckHawk from The Next Level Just used the A9 for the first time to shoot indoor volleyball along with a number of other events. This camera focuses faster and more accurately than anything I've ever used before and I've used a Canon 1DX Mark II. Seemed like the only misses came when I didn't get the focus point on the subject. The lack of black out from the shutter is a game changer and face detection is better than any I've ever used. It makes everything seem so effortless especially because the electronic shutter isn't banging away all the time. It really makes the newest Canon and Nikons seem very, very old. Also, didn't notice any banding and haven't had any overheating issues. Rated 5 out of 5 by bryan s. from Outstanding Camera! I am surprised and pleased how much I love A9. I am primarily a landscape photographer using a Sony A7rII or Canon 5DMkIV. The A9 IQ is outstanding. The smaller 24 mp files are a pleasure to work with and the eye focus AF is incredible...it's almost impossible to take a bad photograph of people with this feature. The battery is a significant improvement. I was able to get about 1200 shots on one battery. Fingers crossed the A7rIII/A9r will come with this battery. What you read in all of the professional reviews regarding user improvement and IQ is true in a real world experience. I will still use my A7rII and Canon 5DMkIV for landscape work, however the A9 is now my everyday camera, it's fantastic! Out of the camera, you will get a clean 4:2:2 output, and that is what the recorder will record. The Atomos Inferno will give you the ability to increase the UH4k to 6fps &amp; the 1080p to 120fps with the Sony a9. 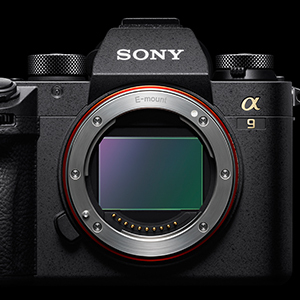 when will SLOG get a firmware update for the A9? Can the A9 use a Nikon 80-300 lens? Most Nikon lenses can be used on a Sony A9 with the proper lens adapter. Popular Nikon/Sony adapters are made by Vello and Metabones. Can I regist Wide focus area using AF Area Regist function? 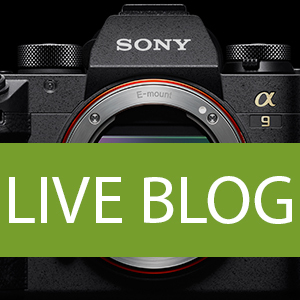 Being Sony's top level pro full frame sports-action camera, the a9 is fully weather sealed. Does it include wireless capabilities? If so, how fast can they transfer images? 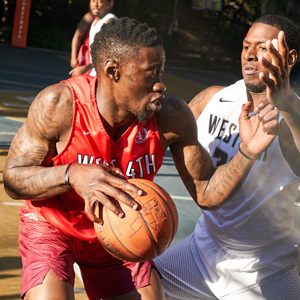 What are the limitations? 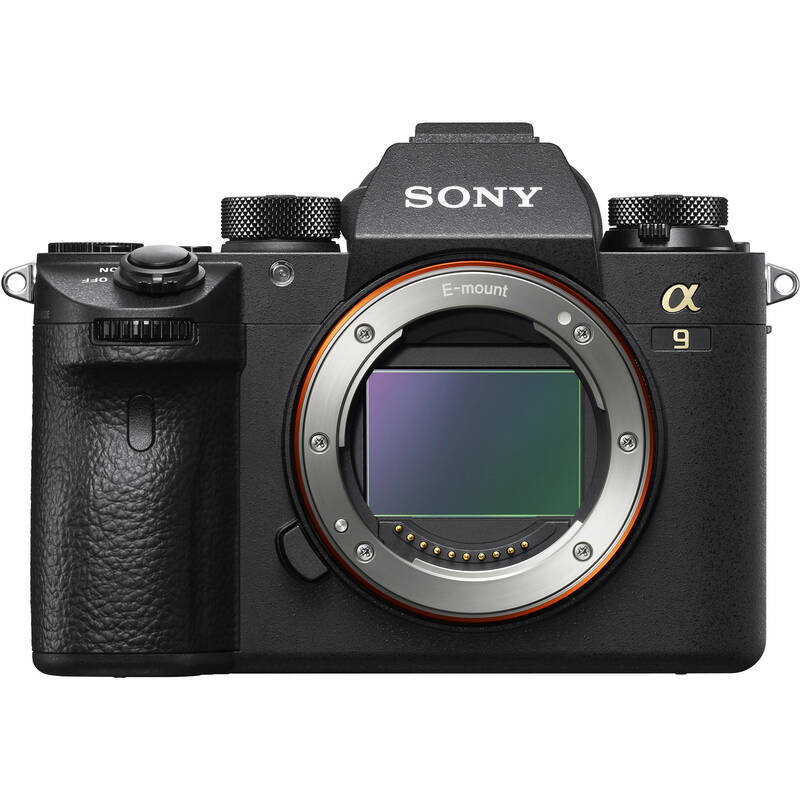 Yes, the Sony Alpha a9 Mirrorless Digital Camera has built in Wi-Fi capabilities; the camera is Wi-Fi Compatible, IEEE 802.11b/g/n(2.4GHz band). Wireless transfer speed will depend on the strength of your Wi-Fi connection and the device to which you are transferring images. The stronger your Wi-Fi connection, the faster your transfer speed. Another limitation would be the write/read speed of your memory card. Ensure you are using the fastest card possible so the camera can pull the data from the card and transfer it wirelessly to your host device. 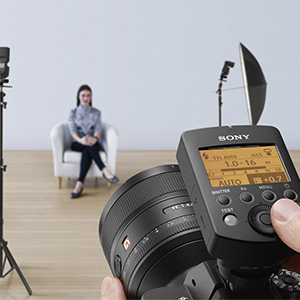 What languages are supported by the Sony a9? Especially which european languages? The camera manufacturers load different languages into the cameras depending on where on the earth they are to be sold. 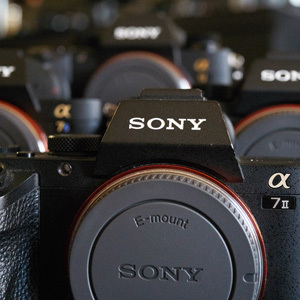 The Sony cameras we sell have English, Italian, French, Spanish, and two versions of Chinese.